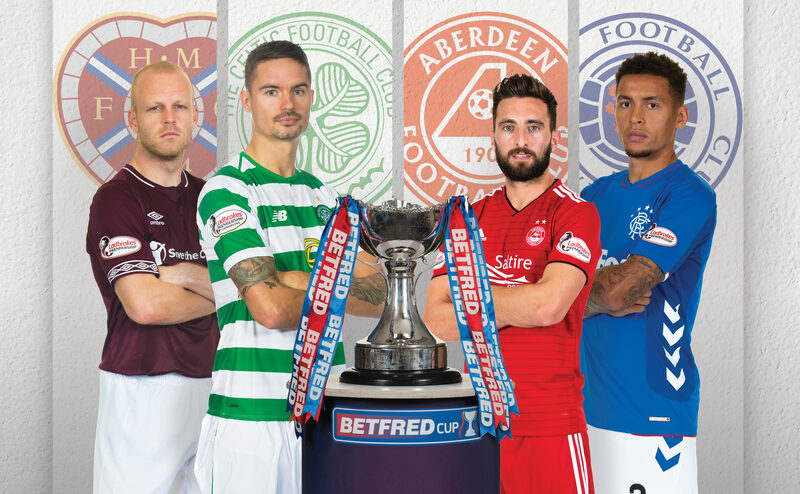 AFTER all the wrangling and arguing over dates, venues, kick-off times and ticket allocations, the Betfred Cup semi-finals have arrived. What has maybe been overlooked during the heated negotiations of recent weeks is that we have two fantastic games of football on our hands that can really showcase Scottish football. Celtic play Hearts at Murrayfield and then it’s Aberdeen against Rangers at Hampden. All four sides are highly competent and capable of reaching the final on December 2. Regardless of the winners and losers today, there will be a mouthwatering showcase game in a few weeks’ time, and Hampden will be sold out. Hearts will have more than 25,000 cheering them on in Edinburgh against the current holders. Craig Levein’s men go into the game as league leaders, and will be brimming with confidence after an excellent week in which they defeated Aberdeen and Dundee. Added to that, they have already beaten Celtic this season when they had a deserved victory back in August thanks to a smashing goal from Kyle Lafferty. Of course, Lafferty is now at Rangers and isn’t eligible to play today for Steven Gerrard’s team. There were many who felt Hearts would struggle without Lafferty. But they have coped admirably. They have also had injuries to key players such as Christophe Berra, John Souttar and Uche Ikpeazu. But it hasn’t held them back. Others in the squad have stepped up to the mark. Steven Naismith has been one of them. He has been outstanding. He leads from the front and is an excellent professional to have. The addition of Steven MacLean in the summer has also been a brilliant piece of business by the Jambos. But they face a Celtic team who have been in good form in domestic games. Sure, they lost 2-0 in Leipzig the other night in the Europa League – and the scoreline was kind to them. But they are still the major force in Scottish football. They will miss Scott Brown’s influence, but they have other fine players to lead the team. Tom Rogic missed the midweek game and I’m sure Brendan Rodgers didn’t want to risk him as he is such an important player. He is maturing into one of the finest players in the UK in the role he plays just off the main striker. If he is fit, he brings so much more quality to the Hoops. Overall, I fancy Celtic to shade this game. They’ll want to get the job done in 90 minutes as extra time would probably suit Hearts more, given the Glasgow club’s exertions three days ago. Who will they play in the final? Well, for the same reasons as I’ve just mentioned, Rangers will want to win the game in 90 minutes. Having had the benefit of a rest in midweek, the Dons will not be against another 30 minutes. That’s not to say I expect them to play for a draw. The Hampden semi will also be a cracker. I expect it to be open and entertaining, real edge-of-the-seat stuff. For Steven, it will be interesting to see who he selects to play as the main striker. With Alfredo Morelos suspended and Lafferty cup-tied, there isn’t another natural No.9 to step in. Whoever the manager goes for will have the chance to emerge as a hero in this game. Rangers are just off the back of a 0-0 draw at home to Spartak Moscow in the Europa League. It was another credible result for them, and keeps them top of their section at the midway point. Steven was disappointed his team didn’t score, and wanted them to have more of a cutting edge. The fact he is putting such demands on his players after 11 games unbeaten in Europe shows the strides they have made under him in just four months. The way Derek McInnes sets up his team will also be interesting. He has good attacking options, and may well want to put two wide men right up against the Rangers full-backs to nullify their attacking prowess and keep them on the back foot. The Dons have struggled to find momentum this season and it’s been a wee bit stop-start for them. But this is the ideal opportunity for them to reach another final. They won this competition four years ago and reached the final last season. This could kick-start everything again. But I think Rangers will win the game. There just seems to be more strength and confidence in the Rangers team. They aren’t particularly experienced, but they have something about them under Steven that makes me believe they will have too much for their opponents. So, I’m going for an Old Firm final but it will be tight. This season is as wide open as it’s been in a long, long time. For all four clubs today, and their supporters, enjoy the games and savour the moment.